Continued German network expansion for Kobelco - Kobelco Construction Machinery Europe B.V.
Kobelco Construction Machinery Europe B.V. (KCME) is pleased to announce the continued expansion of its German dealer network with the appointment of Thomas Baumaschinen GmbH. The company, which joined the Kobelco family on 1 March, will improve the servicing of the manufacturer’s customers in the western North Rhine-Westphalia region of the country. Established in 2006, Thomas Baumaschinen GmbH offers a range of construction solutions to its customers including sales and rental of a wide range of machinery, maintenance, repairs and financial services, and has a large range of spare parts on-site. Despite its relative infancy, the company has built up an excellent reputation in its territory as a reliable service partner that takes the utmost care of its customers. 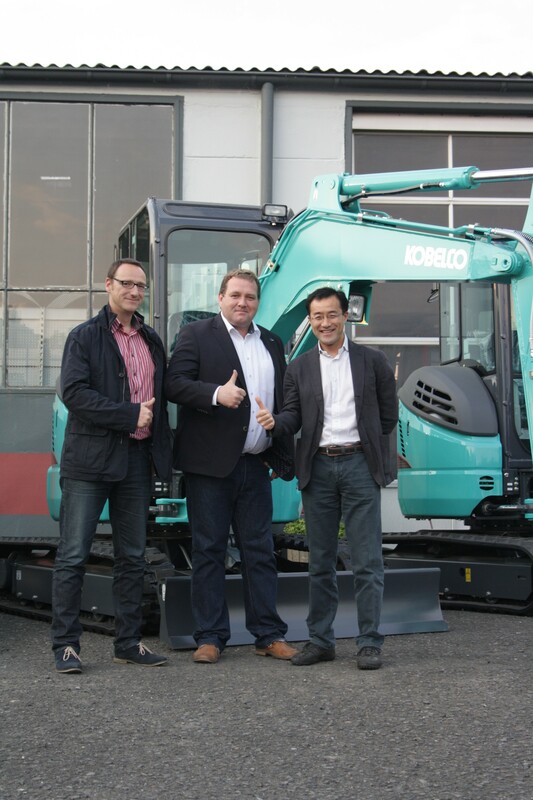 Joining Kobelco Construction Machinery as an authorised dealer partner will enable Thomas Baumaschinen GmbH to enhance its current range with Kobelco’s full line-up of premium crawler excavators, and will enable the company to continue its expansion within the region.